Amsterdam is fun. The tourist crowds not so much. They can tire you when you are keen on exploring the city and the locals' way of living. Check out the following advice on how to avoid the tourist crowds, based on the first hand experience of an expat living in this amazing city for more than half a decade. After six years in Amsterdam, the global village mentality has grown on me and I constantly try to avoid tourist crowds. This can be quite a challenge. I think it's amusing to see how most tourists flock to Leidseplein, a square with bars and restaurants in central Amsterdam. Everyone who have been to Amsterdam knows about Leidseplein. With the bars and the fast food places surrounding the square, this is the location to start a party on a weekend trip. But this is really only a small part of Amsterdam. All you need to do is walk for fifteen minutes towards the south, west, or east to find more secluded areas. This European capital is so small in comparison with many others that there is really no excuse not to venture further away from the center. In each direction except north, you will find cafes, interesting architecture and run into the locals as they go about their daily lives. From Leidseplein you can take trams in all directions. This makes this touristy square a great starting point to prospect the city for fun places and activities! Examples abound but here are a few to start with. 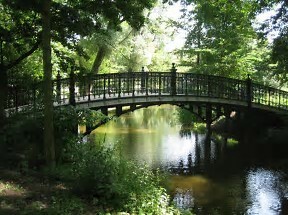 If you go west you can visit the Westerpark that has several cafes, a jazz bar and a park worthy of a picnic. If you instead turn your attention to the east, you can visit the Tropenmuseum, the ethnographic museum that was originally created to show Dutch possessions overseas. It now boasts a collection with more than 300,000 objects from different cultures around the world. Or, you can head south and preferably through Vondelpark until you reach the Oud Zuid, or Old South. Southeast of Vondelpark you will be greeted by architecture that is more grandiose and contrasting the small canal houses you will find in the Jordaan district. 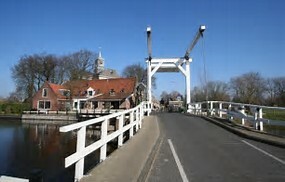 The canal belt in this city is the breeding ground of several tourism related businesses. One of these is the toar boat industry. They are everywhere, they are long and they are easily noticed as they are painted in bright colors with huge slogans. They are also full of tourists trying to snap photos of the city through the windows. I ventured onto a tour boat once and quite frankly it was the most dull experience ever. There I was, seated among more than forty other people. We sat there in our little herd, all of us hugging our cameras and looking out through the windows trying to catch a glimpse of something special. Let's face it, the canals are lower down than the streets and yes, you will see house facades from below. But if you want to pace yourself and really feel that you are in a city surrounded by water, I suggest that you rent a small boat and choose where to go at your leisure. 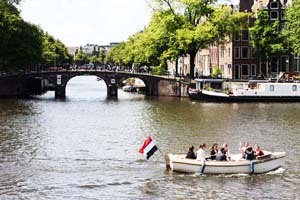 Whether you choose to rent a boat or walk around, you really want to head towards Westerkerk and continue south. Then you will walk straight into the Jordaan district which today is one of the most fashionable areas to live in the city. 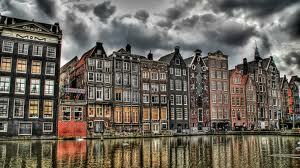 This is old Amsterdam. Old canal houses line the canals and this used to be a worker's district a long time ago. To have Jordaan mostly to yourself you should go there early in the morning on a working day. You will find a very quiet neighborhood that slumbers long into brunch time. After you have taken the obligatory photos of canals with the occasional smaller boat passing by, why not enjoy brunch in one of the small cafes or bars lining the Prinsengracht. Sip on that coffee and smile at the locals going about their daily business. You won't have to see many tour boats here, well, at least not until around lunch and thereafter. Oh, and when taking photos in the Jordaan district.. You might want to show some respect by not taking photos directly into the windows. When I lived in an apartment in the Jordaan, I would often pull the curtains half-naked only to have a group of tourists snapping away with their cameras outside. Not my best Instagram moment, if you know what I mean. Tourists tend to show up in large numbers during weekends. This makes perfect sense and it also means that the museums have long queues on weekends. If you are keen on checking out old Renaissance art (or otherwise), you're better off going to museums on working days as soon as they open. The beginning of the week is particularly good to visit museums. Since I first arrived in this city, my interest in museums has increased a lot. The art scene is big here and there is a constant flux of exhibitions. Chances are that if there is a new trend on the art scene, it can be spotted here. But what I prefer is to visit the more unpretentious museums. 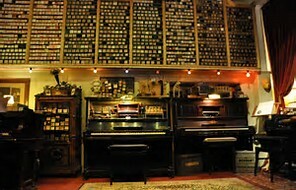 Take for instance the canal boat museum, or why not the Pianola museum which also has live Pianola concerts regularly. Another example is the Foam museum, a photography museum that features a wide range of exhibitions. Let's just say it's far from landscape photography on postcards. Whether you like it or not, Foam will widen your horizons with photo installations by photographers from all over the world, and with plentiful of themes. Although it's known as the Venice of the north, there are plenty more active adventures to try out. How about renting a boat and going south along the Amstel out of Amsterdam and to the little village Ouderkerk aan den Amstel? This will take at least four hours, two hours to get there, and two hours to get back. But on a sunny day and with some food and drink you will have a party like none other. If you have rented the boat for a longer while you can also stop in Ouderkerk aan den Amstel and go to one of the restaurants there. Now that beats going to a restaurant by car! An unforgettable experience are the rickshaws that traffic the city. They are found around the canal belt, and you can easily hail one down. Explore the city in style with a one hour tour with one of these fellows. They are usually more than happy to take you to scenic spots. Just be sure to say that you don't want to go where all the other tourists go. “Take us to places you would go”, is a good phrase. There are some real old cafes and bars in Amsterdam that deserve special attention. They have been around for centuries and retain their original atmosphere. Confucius is supposed to have said “Everything has its beauty, but not everyone sees it.” This is particularly true for the small alleys in Amsterdam. The city has its architecture and the rapid pace of living in the city center. But there are beautiful remains from the past, a time when Amsterdam was one of the hubs of global trade, in the Age of Sail. Amsterdam by night is a unique experience. You want to stay close to the canals and find a cozy spot to have a drink with your travel companion(s). The neighborhoods around Jordaan, Amsterdam Oost and De Pijp all have their unique character and more importantly, you can find alleys with restaurants where most tourists never venture. Try for instance Cafe Marcella on Amstelveld 21. Situated next to Prinsengracht, they will place chairs and tables right next to the canal on sunny days. In Jordaan you should try the Winkel 43 on Noordermarkt 43 which serves both lunch and dinner. Try to be there before the lunch hour or between the busy hours of dinnertime. This place gets quite busy. De Pijp has a huge offering of restaurants and bars. One that is slightly off the beaten path is Bazaar on Albert Cuypstraat 182 that serves African and Middle Eastern dishes. The interior feels very much like a bazaar but this is really an old converted church. Finally, in Amsterdam Oost, the brewery and restaurant Brouwerij 't IJ on Fuenkade 7 is a classic. It's really a windmill with a brewery producing beer. How is that for a mix of fun and food? If you don't like crowds then don't go in the weekend. Everyone does, so try to go for a couple or three days in the beginning of week. Enough said. Renting a bike is close to obligatory during a trip to Amsterdam. But take it further by refusing to limit yourself to a couple of hours of biking. Instead, rent the bike for an entire day and use it to traverse the city from East to West, and from North to South. 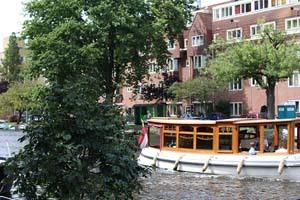 This is a true Amsterdam experience and you will learn how the locals go about their daily life. Amsterdam is a bike-friendly city. The bicycle is the primary commuter's vehicle and all roads have bike lanes or are themselves perfectly suitable for biking. The Dutch car culture is so influenced by the presence of bicycles everywhere that car drivers open their doors with their right hand. This effectively forces them to turn around as they open the door. This has a significant effect on decreasing car related accidents with car doors opened and bicycles slamming into them. Most visitors in Amsterdam never leave the center of the city which is roughly defined by the canal belt. Take it further by going to the alleys in Jordaan, De Pijp or Amsterdam Oost. These are areas where plenty of locals live and you can find restaurants that are visited by the same. You will quickly leave the other tourists way behind as you move beyond the canal belt. This is what I tell my friends who are planning on coming to Amsterdam for the first time. Usually it doesn't go wrong. Unless they want to get hammered or check out seedy Amsterdam. If that's the case, just get one of those thick brochures with tour deals and check them off in rapid succession. And well, just stay within 500 meters of Leidseplein or the Red Light district.